LOOKING FOR THE HOUSE THAT HAS EVERYTHING AND IS IN PERFECT CONDITION? LOOK NO FURTHER! 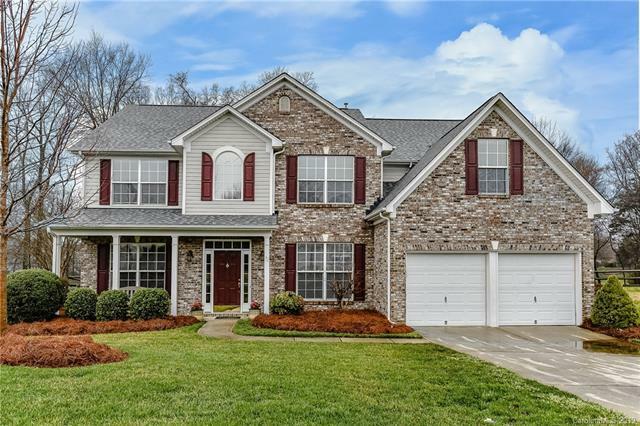 !Stunning 5 bdrm, 3 ba home features hardwoods up and downstairs. Both formals, B&B on main.2 sty GR w/gas FP. WOW of a custom kitchen w/SS appliances including gas range and wine cooler, granite, tile backsplash. MBR up w/custom bath! Dual vanities w/vessel sinks, opulent oversized all tile shower, sep soaking tub, private water closet and a walk in closet to die for! Spacious secondary bdrms all with generous closets. Office with custom built-ins.Irrig sys, custom paved patio. Roof, both HVAC units replaced, landscape lighting, fin gar w/sealed floor, fence, additional landscaping, ceiling fans, neutral dcor, recently painted, lots of molding/trim throughout. Home and been pampered and it shows do nothing but move in and relax! !